– 1 photocopy of the photo page of your passport. 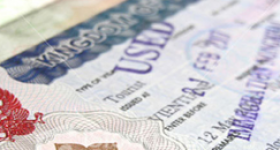 – 1 photocopy of the page containing your most recent entry visa. – The original of your most recent 90-day registration receipt. – The original of your new 90-day; registration receipt. Don’t forget to sign it! – A stamped, self-addressed envelope to receive your new receipt. Please allows at least 1 week for delivery of registered mail. Your new form will be stamped as of the expiration date of your old form. – If you have passed the 90-day limit, you must come to Room 311, Immigration Bureau in person. I have a one year O retirement visa. What happens if I fail to do the 90 day reporting in? According to the Immigration Bureau, failure to notify their office or notifying them later than the set period will lead to a fine of 2,000 THB. If you are arrested for failure to notify the immigration, you will be fined 4,000 THB. I’m Malaysian. I have 30 days visa. I would like to extend to 90 days visa for travel purpose. Can I apply 90 days? If you have a 30-day entry stamp, you are only able to get a 30-day extension. BUT if you wish to stay for 90 days, what you must do is obtain a tourist visa for 60 days from the Thai embassy in KL and enter Thailand with this visa. You can then apply for a 30-day extension at local immigration office.